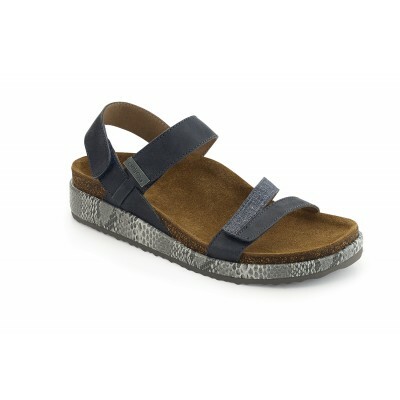 Capri is a light weight quarter strap sandal that provides exceptional high arch support. 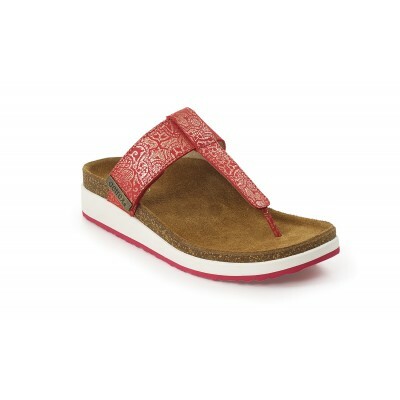 This is a fully adjustable sandal with a padded heel strap for extra comfort. Pack these to wear sightseeing or shopping while on vacation! Sizes: 5-11* sizes available although not all in stock. Bethany is a comfortable shoe for women that can be worn all day. The fully adjustable hook and loop strap provide flexibility for any foot width, while the addition of a bunion pocket adds extra comfort where you need it most. The supple suede lined foot bed and slow recovery memory foam cushioning provide superior comfort for your foot. Wear these shoes for a picnic at the park or watching your kids soccer game! Phoebe is a slip on thong sandal that is comfortable and easy to wear. The fully adjustable hook and loop strap provide flexibility and comfort for any foot width. The supple suede lined foot bed and slow recovery memory foam cushioning provide superior comfort for your foot. 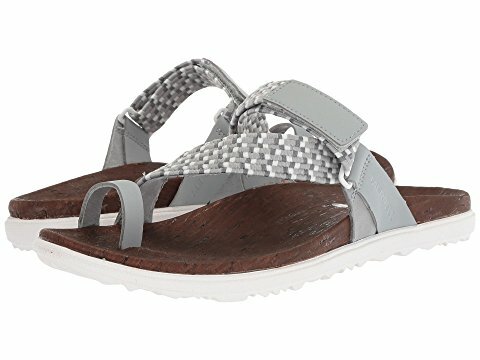 Pair these with your favorite shorts for a comfortable yet stylish summer look! Olive is an ornate sling back thong that can be dressed up for an evening out or dressed down with jeans and a t-shirt. The fully adjustable hook and loop strap provides comfort and flexibility for any foot width. 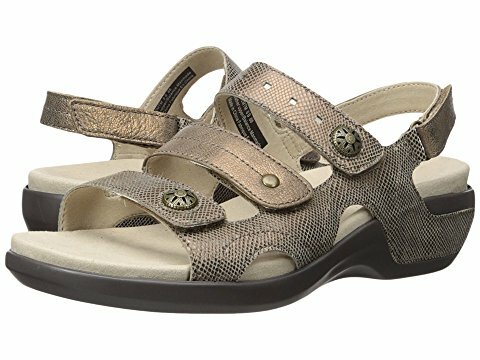 It aids in helping to properly align your body with our built in Aetrex orthotic support making these exceptionally comfortable sandals. Pack these on family vacation for a nice dinner or for a day exploring the city! Explore fearlessly. With playful straps, cork footbed, and M Select™ GRIP technology, Around Town Sunvue Thong Woven is about experiencing life in style. Sizes: 5-11* Whole sizes available although not all in stock. Sizes: 5-11* Whole sizes Only available although not all in stock. 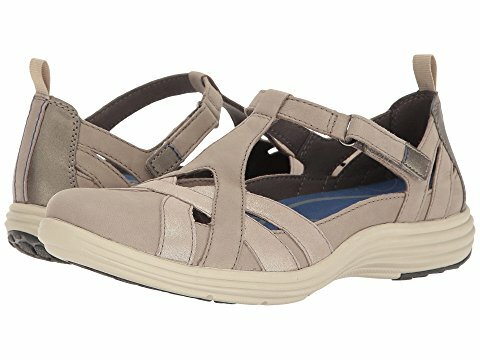 Welcome summer with the Power Comfort 3 Strap Sandal. 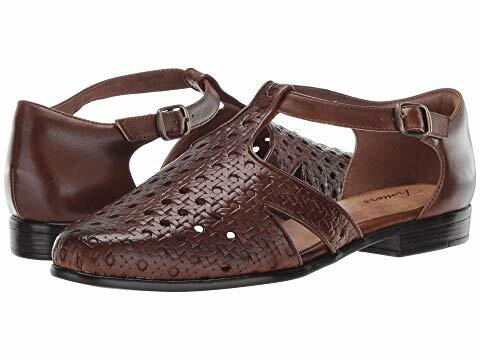 This open-toe sandal is perfect for relaxed summer working environments, and going on weekend treks with your girlfriends. The synthetic and breathable microsuede footbed is sure to keep your feet comfortable wherever summer takes you. Sizes:(2A) 5-13 (B) 5-13 (D) 5-13 (EE) 5-13 * sizes available although not all in stock. Laser-cut detailing and contrast stitching give the Beaumont Fisherman Sandal its good looks. A removable EVA and memory foam footbed and padded heel collar deliver comfort. A stability cradle and lightweight nylon shank offer stability and support. Sizes:(2A) 7-10,11(B) 6-12 (D) 5-12 (EE) 6.5-10 * sizes available although not all in stock. What a catch – the Leatha Open Weave is a unique take on the fisherman style with hand finished burnished leathers and an open-weave look. Soft linings and a padded rear collar make wearing the Leatha Open Weave a pleasure all day long. Sizes:(N) 7-11 (M) 5-12,13 (W) 6-112,13 * sizes available although not all in stock.